Top speed for your .50 cal paintballs! 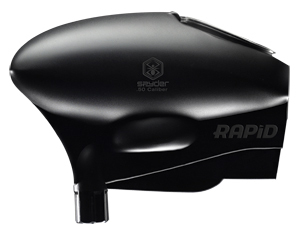 The Spyder Rapid E-Loader is an electronic loader for .50 caliber paintballs. It can hold 350 rounds and has a 20 round/second feed rate - very fast. It has a spring assisted lid for quick and easy access under stressful, tournament conditions. This loader will put the cap on your .50 caliber advantage in a hurry; rule the field with this electronic hopper on top of a .50 caliber Spyder marker.